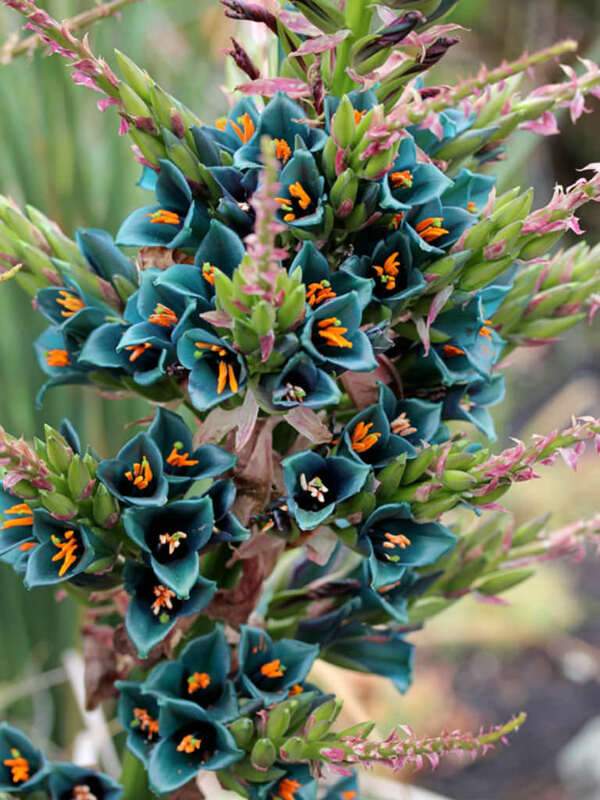 Puya alpestris is an amazing plant that forms a up to 3 feet (90 cm) tall clump to rosettes of recurving, spiny-margined, light green leaves that are silver-gray beneath. 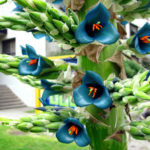 The leaves are up to 2 feet (60 cm) long and up to 1 inch (2.5 cm) wide. 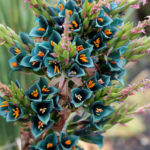 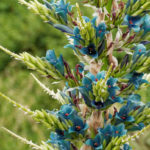 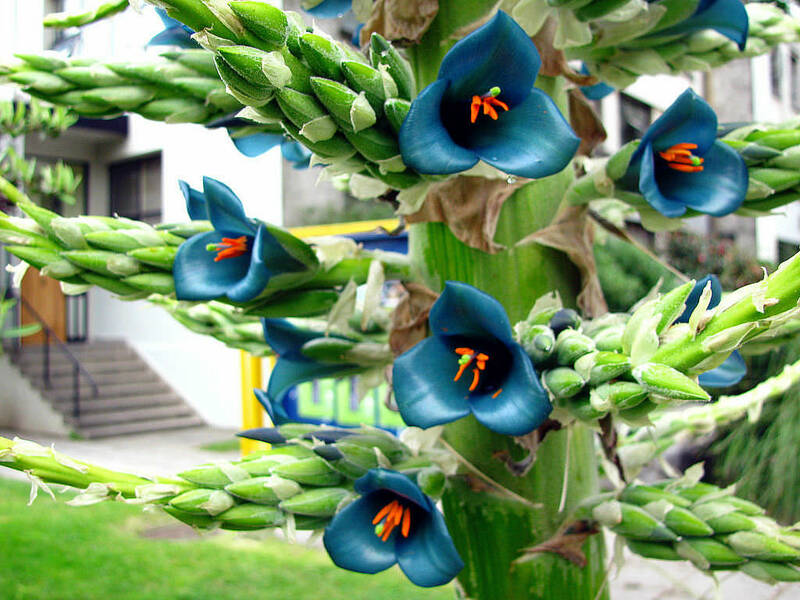 In spring, but usually not every year, appear turquoise blue-green flowers with vivid orange stamens that are held on a branching, up to 4 feet (1.2 m) tall stalks in the spring. 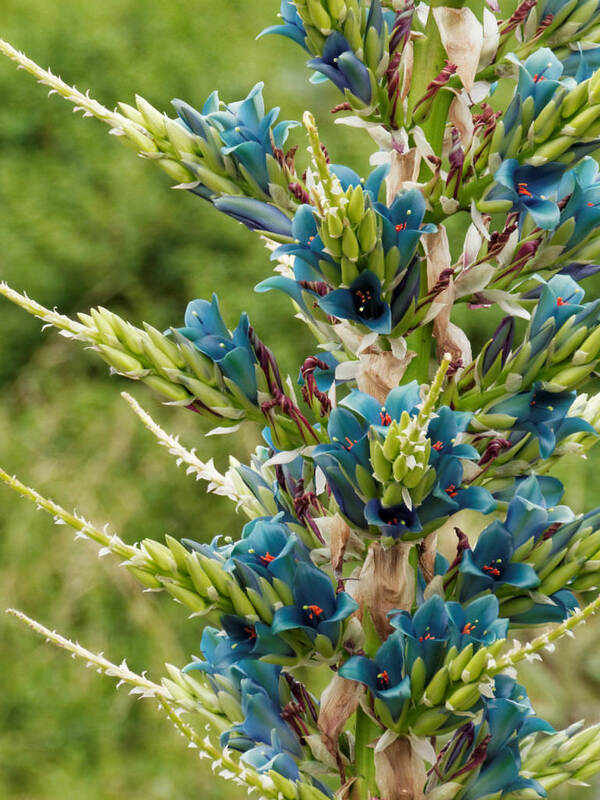 Each branch of the inflorescence terminates in a long sterile branch with pink bracts. 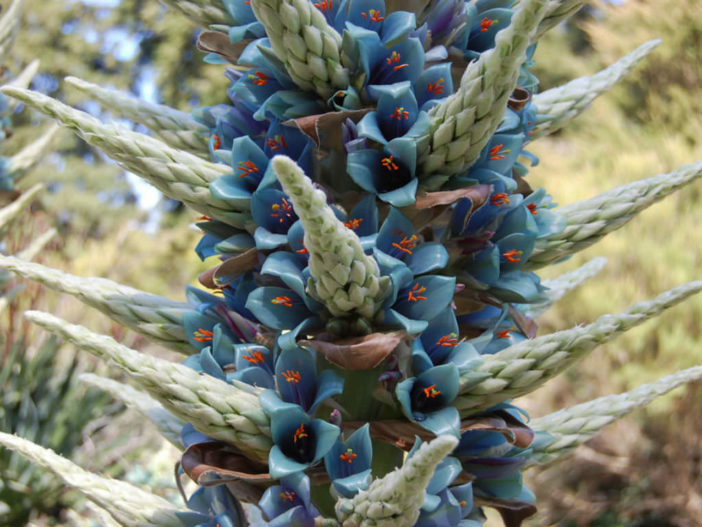 It is native to Chilean Andes.